All the three devices look almost identical in design with minor changes in its size and camera setup. The Galaxy S10 and S10+ are expected to sport a curved OLED screen with minimal bezels. Samsung is scheduled to hold its Unpacked event next month, where it is expected to show a "fully functional" version of its foldable phone. However, ahead of the event, the image of the next-in-line premium smartphones has been leaked. As per the images leaked by a popular tipster, Evan Blass, the Samsung Galaxy S10+ looks like a premium version of the Galaxy S10 family while the Galaxy S10E looks like the standard version of all. 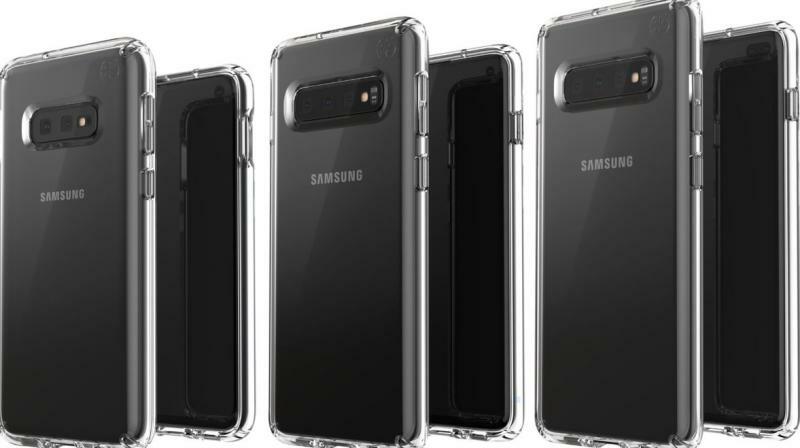 The leaked images displayed the Galaxy S10 family enclosed in a transparent cover. All the three devices look almost identical in design with minor changes in its size and camera setup. The pictures also give us a hint that the Samsung Galaxy S10, Galaxy S10+, and Galaxy S10E might come in similar colour options. Based on the image, the Galaxy S10E will be a cheaper edition without the fancy elements expected in the other models. The Galaxy S10 and S10+ are expected to sport a curved OLED screen with minimal bezels, hole-punch selfie camera, in-display fingerprint sensor, and triple-camera setup at the back.